Very often in Mauritius, we have the feeling that nothing’s happening. Or we get to learn about interesting events through media reports only after these have occurred. 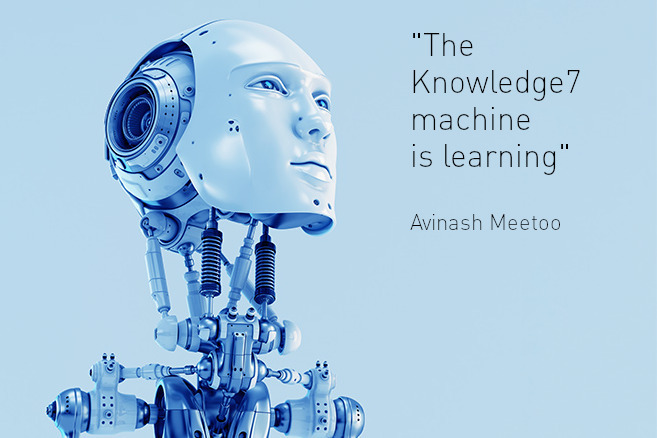 This should no longer be the case thanks to this new Android app developed by Knowledge7. You won’t miss out on the key cultural, artistic and folkloric events in our beautiful island anymore! Indeed, Mauritius Vibrations allows you to browse a curated list of happenings for Mauritius and to plan well in advance what you want to do during your free time. Events of various types such as concerts, dance shows, exhibitions, workshops and sports events are listed with practical information such as a summary, the date, the time and the venue. A special category is designed for parents so that they can select events that are child-friendly which they can safely enjoy with their whole family. 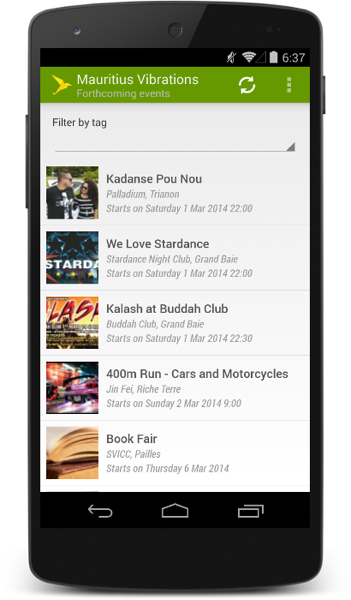 The app allows you to select events which you want to add to your calendar. It integrates seamlessly with your Google Calendar so that you can set reminders and invite others to join in the fun with you. You can even share your selected events with your friends and family through social networks such as Facebook and Twitter, by email or simply through text messages. An exciting feature of the app is the ability to use the geolocation feature of your smartphone. Thus, for each event, you can view its exact location on Google Maps and obtain directions to get there. Mauritius Vibrations is available in iOS (iPhone and iPad) and Android versions for smartphones and tablets. Where do I get Mauritius Vibrations? 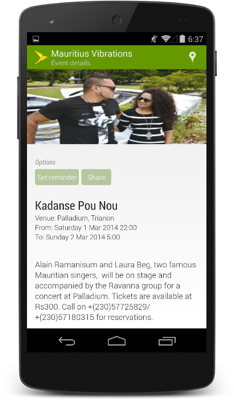 Mauritius Vibrations is available on Google Play Store, on the Apple App Store as well as on the MauritiusVibrations.com.